Fall Out Boy’s latest album, American Beauty/American Psycho, just came out earlier this year, and has been a hit thanks to singles like “Uma Thurman,” “Centuries,” and the title track. 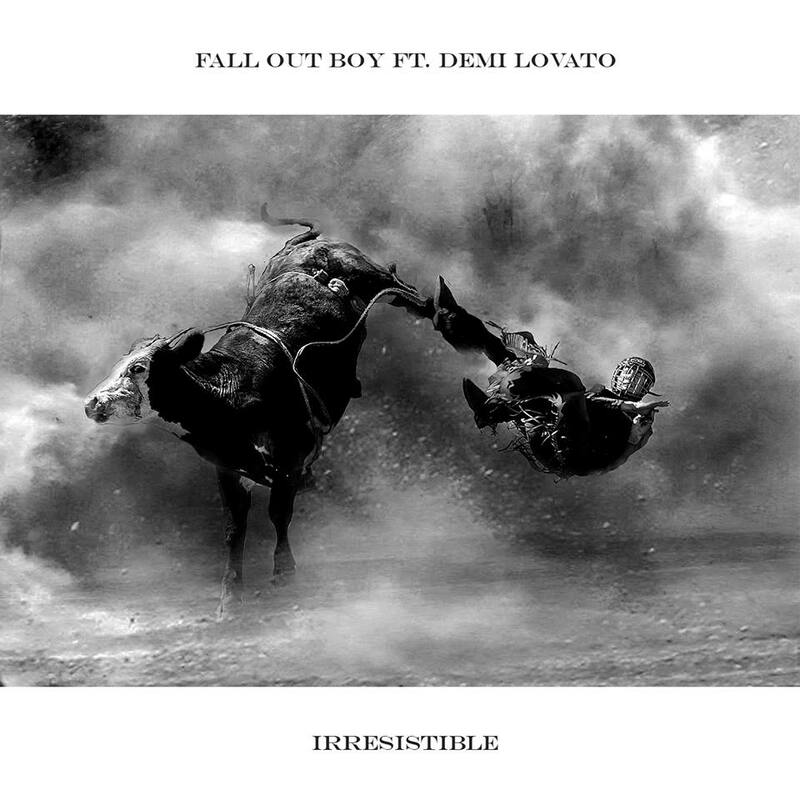 The album opener, “Irresistible,” was released as a single in the UK back in February, but the song has now been re-imagined for its US single release. Demi Lovato joined forces with the band to make “Irresistible” even more, well, irresistible. She sings high harmonies on the choruses, and trades lines with Patrick during the second verse and bridge. This isn’t the only Demi/FOB collaboration we’ll be getting. Demi Lovato is starring in a new animated film called Charming alongside Avril Lavigne, G.E.M., and Ashley Tisdale. As it turns out, Fall Out Boy wrote a song for the film, and it will be sung by the four vocally talented girls. The song’s title and release date have not yet been revealed, but the film is expected out in 2016. Fall Out Boy’s sixth studio album, American Beauty/American Psycho, came out last January and has shown continued success for the band. Fall Out Boy just finished a summer tour with Wiz Khalifa, and will embark on a winter tour early in 2016. You can buy the new version of “Irresistible”on iTunes now. Keep checking back here for all the latest music news.